SOLD 08/25/2009. 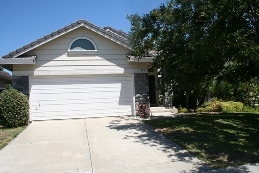 Well Maintained Home in Lovely Subdivsion. Family Room with Fireplace. Sunny Kitchen with Island and all Appliances. Very Clean. Lovely Front Landscaping. Backyard has a Nectarine & Peach Tree and more. Not a foreclosure or short sale.